After years of being a fitness junkie, personal trainer, and group fitness instructor, Abby reached a point where she craved more - soul shifts, awakening, and purpose. Something was seriously missing in the diet and exercise obsessed gym world. Monthly weigh-ins, incessant tracking of health and fitness measures, and the infamous “willpower” were driving people’s happiness (and overall wellbeing) right down the drain. It was this contrast, brought on by an elusive feeling of emptiness, that led her to spiritual work. Much of Abby's journey has centered around finding the medicine and wisdom in her pain and learning how to navigate the gifts and challenges inherent with being an empath and highly sensitive person. 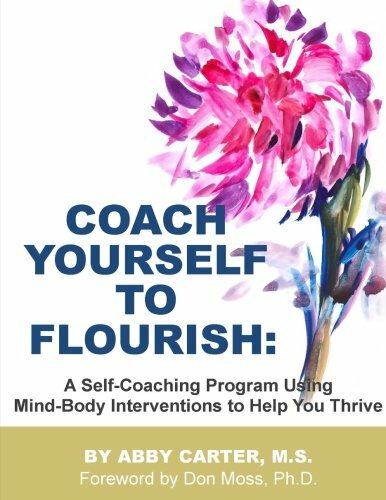 As part of her graduate work in mind-body medicine, Abby wrote and published a self-coaching workbook using mind-body interventions to help people thrive.